The boot-shaped country of Italy is our focus this week, as we take a look at fictional Italian detectives (investigatore is Italian for detective, in case you were wondering). Although we don’t always associate European murder mysteries with the warmer Mediterranean climates – think of the cold Swedish noir or the English house mysteries – it only makes sense that those hot-blooded Italians would offer great fictional crimes (of passion, and otherwise). Besides, as PBS re-airs the popular series Zen based on the Aurelio Zen books by Michael Dibdin (and watching Rufus Sewell in the lead role is half the fun), it’s great time to become a Latin crime-lover. In April, Kurt Cobain died of a self-inflicted gunshot wound. Nelson Mandela is elected President of South Africa in May. There’s no crying in baseball (at least in the World Series) since the August player’s strike put an end to the postseason. TFPL Book Club – Now at a New Night & Time! This past winter, we decided to mix up the TFPL Book Club a little and try something new. For the past three years, we’ve met on the second Tuesday of every month at 5:30. Our original hope was that 5:30 was an ideal time – late enough that people who worked during the day could attend, but early enough that it wasn’t too dark when we finished. But, we’ve found that maybe 5:30 is actually too early (and possibly interferes with dinner), so we’re going to try out the 7:00 PM slot. With the new time also comes a new night – the second Thursday of the month. The one thing that won’t change, however, will be the great conversations we have about the books we read! 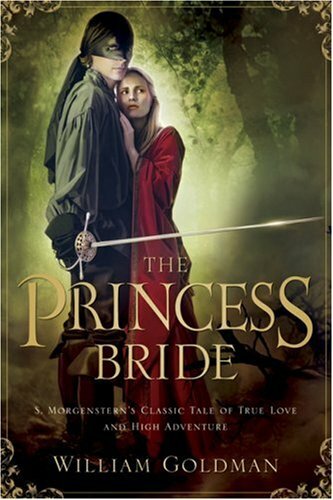 Join us next THURSDAY, MAY 10 at 7:00 PM for a discussion of William Goldman’s The Princess Bride. If you loved the movie (and really, who doesn’t? ), then you’ll adore the book – adventure, fun, romance, and a lot of silly humor. We’ll see you there!